In Your Neighbourhood This Summer! Pop Up Play is an exciting opportunity for kids to enjoy access to high quality recreation programming in their own neighbourhood. Join in games, sports, crafts, music, drama and special events 2 days a week at each location. Look out for the colourful Pop Up Play flags flying at a green space near you. If there’s a game or activity you’d like to play, just ask the Program Leader. They are there to make your summer a fun one! Children are free to come and go as they please from our Pop Up Play Programs. Ensure participants play safely. Parents are responsible for their children at all times and must be available in the event of an emergency. Are easily identifiable by their blue shirts and name tags. May be assisted by volunteer Leaders in Training. Your feedback will help us make our programs even better! 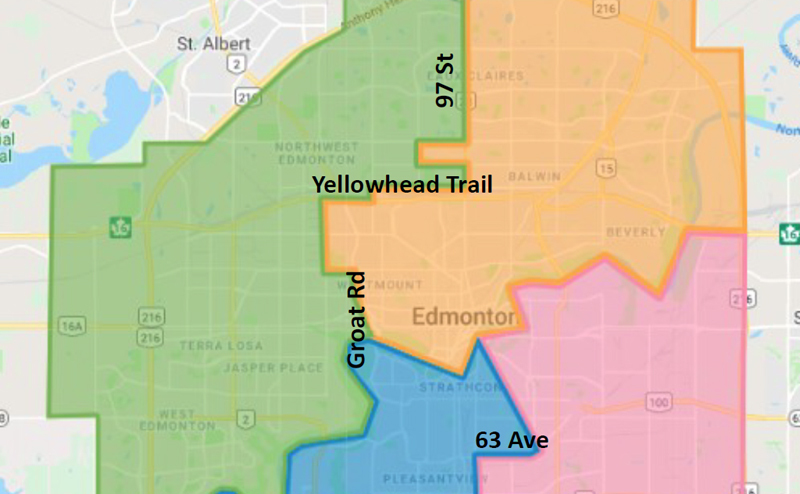 Map of how Citizen Services defines the programming districts in Edmonton.